At PIT Stop Airport Parking we know traveling to the airport can be challenging, which is why we decided to make it a little easier for you. Save over 15% off the normal daily rate for your trip when you valet park with us! Pull into the lot and hand your coupon over to the valet attendant. The attendant will automatically to apply the discount to your parking ticket. 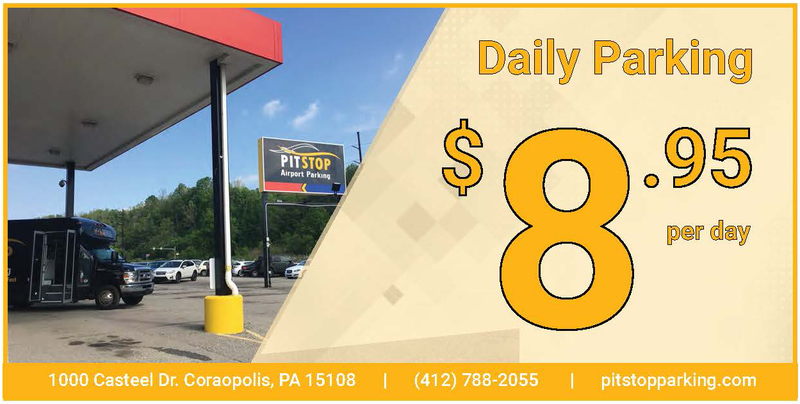 Now PIT Stop Airport Parking is offering even more savings when you park for 7 days or more! Use the weekly parking coupon when you park at our garage and get a rate of $46 for 7 days, plus taxes and fees. Any extra days added to your Pittsburgh Airport parking reservation will also be quoted at the discounted rate.